Since the announcement of X-Men: Days of Future Past, the cast has continued to grow as actors from both the original X-Men and X-Men: First Class are set to appear in the film. Now even more alumni from the original films have been confirmed for the sequel. 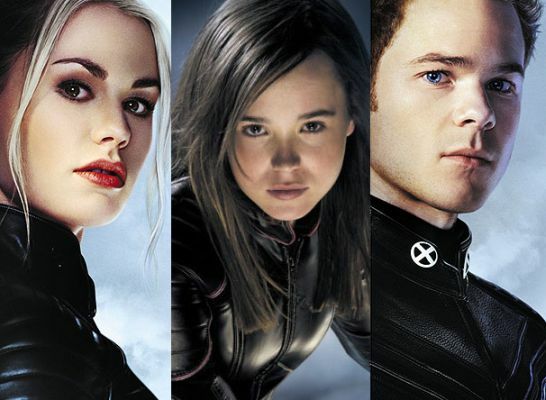 Director Bryan Singer tweeted this afternoon that Anna Paquin (Rogue), Ellen Page (Kitty Pryde), and Shawn Ashmore (Iceman) will all be back for the film. He then thanked X-Men: The Last Stand director Brett Ratner for having their characters survive. What role these characters play in the plot is yet to be determined, but the return of Ellen Page as Kitty Pryde is a potential good omen as her character was a focal point of the original comic book storyline. Other cast members confirmed to return for the movie include Ian McKellen, Patrick Stewart, James McAvoy, Michael Fassbender, Jennifer Lawrence, Nicholas Hoult, and Hugh Jackman.